It’s been ages since I’ve put up a post about living in Italy. A lot of our first year here has been consumed with assessing our living situation, getting settled in and dealing with a renovation. I know it sounds very exciting and much like the “Under The Tuscan Sun” experience. But let me bring you down to earth. Buying property in Italy can be a testy experience, so can renovating it. As an expat, I think the first jolts you more because of the cultural and systemic differences. 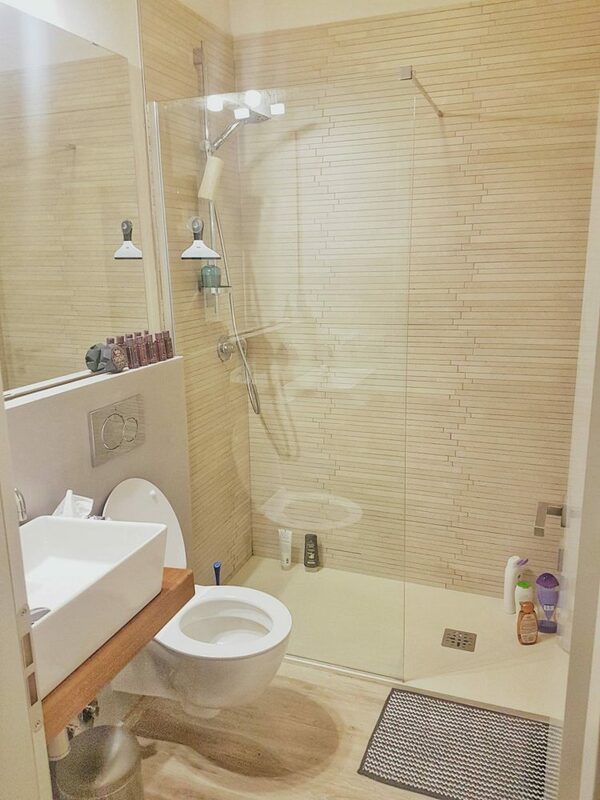 At least with renovating, you figure it won’t be that easy from the beginning. You expect it. But when you have to deal with a mountain of obstacles just so you can plunk down a well sized portion of your life savings on a new home, well lets just say its an unpleasant surprise. We decided not to purchase a home here, at least for the time being. Here are some reasons why. Buying property in Italy is especially daunting if you’re from a country where the real estate market is geared toward the buyer. Here in Italy, a fragmented system exists where agents have territory over real estate. Plus, the agents don’t give a sh*t about you. Unanswered phone calls and emails, no follow up… whether you’re Italian or not. They don’t find the listings for you, you do that work. They don’t care what your preferences are. Is it like that everywhere in Italy? Definitely not everywhere. But in many places, yes. 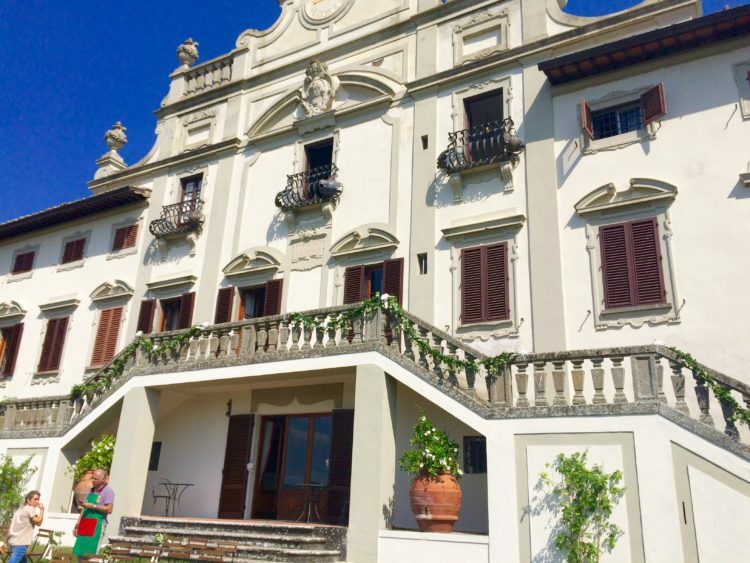 Chandi Wyant, a fellow expat here in Italy originally from California, outlines her ordeals with the process in What You Don’t Know About Buying Property In Italy. 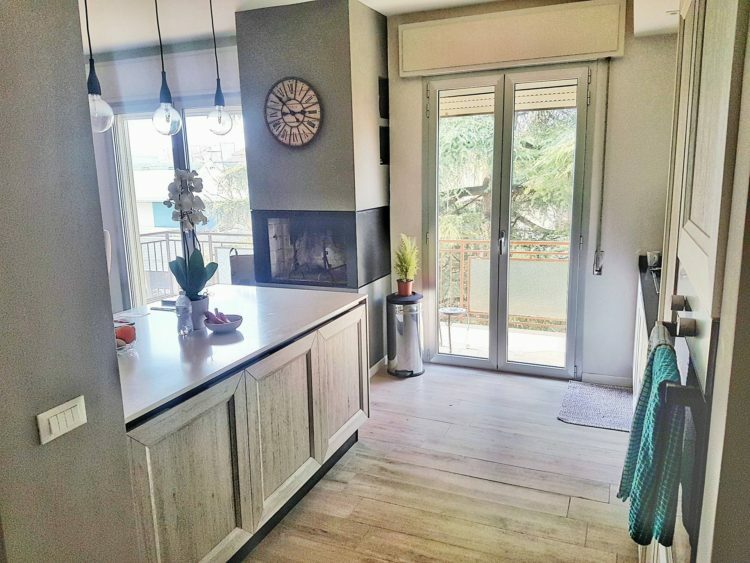 Coupled with the language barrier (I know, I know… learning and taking lessons) and a declining real estate market, I started asking myself and my husband is it really smart to buy here? Let’s not forget the bureaucracy. We don’t even know if Italy is a permanent move yet. To make matters even more murky, there are iffy (read: sometimes non existent) resale opportunities outside of major tourist hubs and vacation areas. We don’t live in either of these categories. Imagine spending “x” amount on your new home, renovating it for “y” amount and then not being able to sell it for anywhere near the value of x+y or at all. Getting a mortgage with a spotless credit history might prove even tougher, even with 50% down. Recession woes and regulatory nightmares with respect to real estate purchases still linger from the last decade. Fact: Italy is in very last place when looking at price recovery compared to every one of its European counterparts. Other things to consider when buying property in Italy are renovation costs, unless its a new build. Even some new builds leave much to be desired. Exteriors of older villas are beautiful but the insides can be, well, not so practical. Yes, there’s stonework, stunning vaulted ceilings and frescos on the ceilings but… there are always a lot of buts. You have to have a lot of passion and patience if you take on a villa. I’d say our passion level was about a 7 out of 10 and patience level at about 5. Not enough. 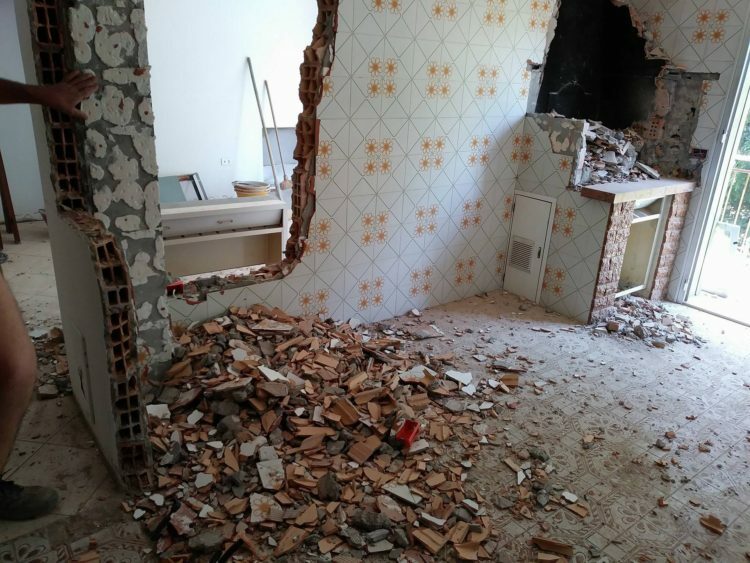 Villas require a lot of renovation work, even apartments do. 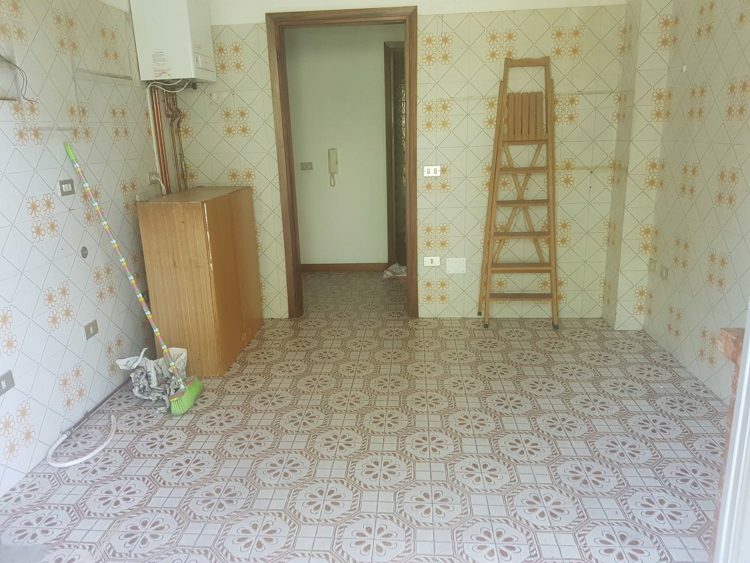 So much so, that the Italian government gives back 50-65% of hard renovation costs over 10 years (non interest bearing of course) to its citizens if they decide to update their homes. They know the older builds are an issue. AND, then there is this. Since EVERYthing has historical designation in Italy, it is likely that the villa you purchased is not allowed to undergo major renovation works because its designated historical. 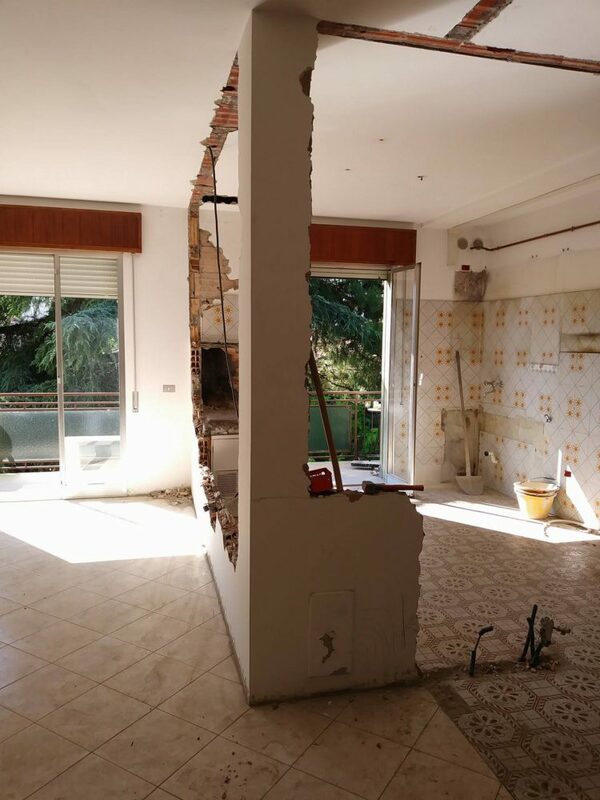 Yeah, you can renovate the existing structure internally, but sometimes not more than that. The municipality in your commune won’t allow it. You buy the perfect plot overlooking vistas and hills with plans to knock down a few walls or add an extension to your private property only to learn that your plans are outright rejected and there is legally nothing you can do about it. Do your homework first. Our architect could not refurbish his own family villa in the next town due to the designation. It helps to know people at the municipality but sometimes that doesn’t work either. While I respect efforts to preserve the architectural integrity of older buildings, some limits have to be lifted when it comes to private, residential property. Then comes the issue of heating and utility consumption. Poor insulation in the older builds result in sky high heating bills. If you knock down walls, its an ever bigger bill because it takes more heat to warm up open spaces. We scouted a couple of villas that we really liked. Good prices and only in need of minor works. Of course there was a catch. The villas scored really low on the energy class scale. I’m not talking about electronic appliances here. It’s a scale that basically determines how well insulated your home is. A 4,000 square foot villa with a lower class energy rating will result in thousandS per month on utilities, especially during the winter. Who wants to freeze in a cold villa? Trusted tradesmen must be considered too. Word of mouth and connections are king in Italy. You can’t go to the yellow pages or pick someone on the internet based on positive Google reviews. You need to know people in the community and get recommendations for a good contractor, architect, plumber, electrician etc. Don’t just let anyone into your home. They might mess it up and its also a security risk. Would I have attempted a renovation in my first year here without my husband and the help of his family? No. If I’m coming off as a negative nelly, sorry. I’m not at all adverse to taking risks. 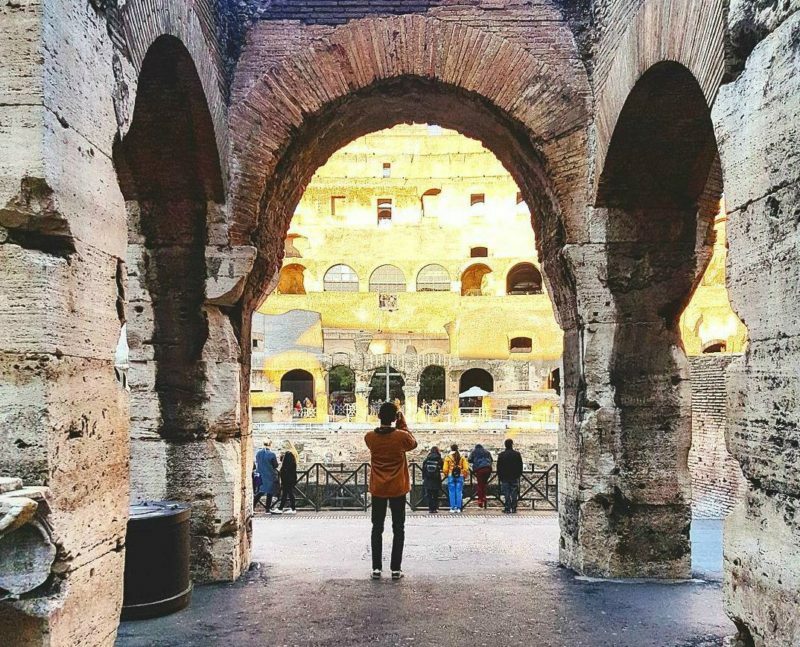 I enjoy living in Italy … I love the buildings, the food, the art, the relaxed attitudes and the way it challenges me. Getting things done is not easy here and I’ve been used to having things easy. I’m glad we made the move. But does that mean we’re going to jump into a not so well thought out investment? Nope. Soooo, what did we decide? Did we decide to throw away money renting? buy a new build? renovate an older property we purchased? I would be lying if I said my situation wasn’t easier than others. My husband grew up in Italy, his family lives here. They own an apartment that happened to free up from a tenant the month before we moved. It’s a 2 bedroom/2 bathroom with a little office that serves our current needs really well. But it needed work, a lot. We gutted the apartment. There were too many walls blocking precious light and mismatched 70s ceramic tile everywhere. And I mean everywhere. On the floors, on the walls, different patterns for different rooms. “We” (the contractor) knocked down everything and put in new flooring, a new kitchen, new bathroom. 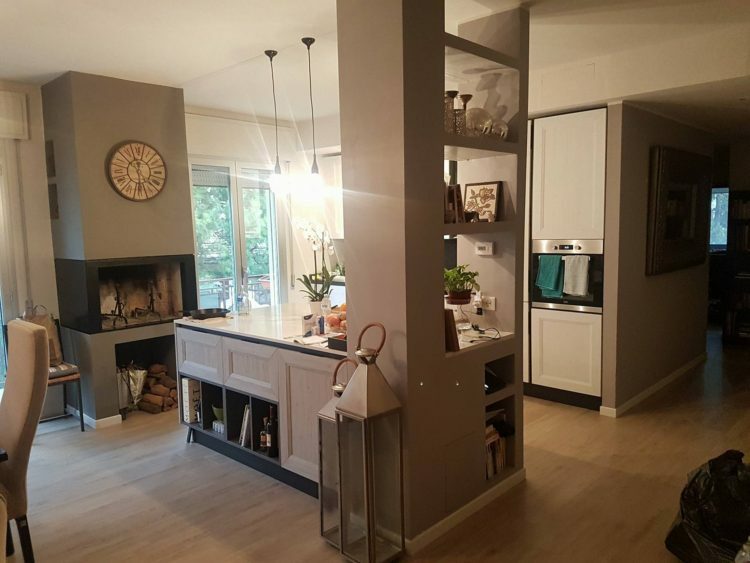 We created compartments in the ceiling for recessed lighting, built a small nook in the kitchen for a little old school wood burning oven, rewired the apartment, replaced the doors and windows with insulated double panes and changed the heating system. With paperwork and approvals, the whole process took about 6 months. All that’s left to do are some aesthetics like curtains, updating some furniture and finding a bed frame in Italy for our oversized mattress! Did we spend a pretty penny renovating? Yes. But our thought process was this. Forget throwing away money on rent and dealing with landlords. We’ll be mortgage and rent free in this country and the money is being spent on an existing property in the family. It’ll be great for at least a couple of years until we figure out if our move is permanent and we’ve had plenty of time to scout another place. On top, my husband gets back over 50% of the hard renovation costs he spent over the next 10 years, not bad. Plus we have our own garden for growing herbs and some veggies, something that was really important for me. It’s been a great learning process so far. 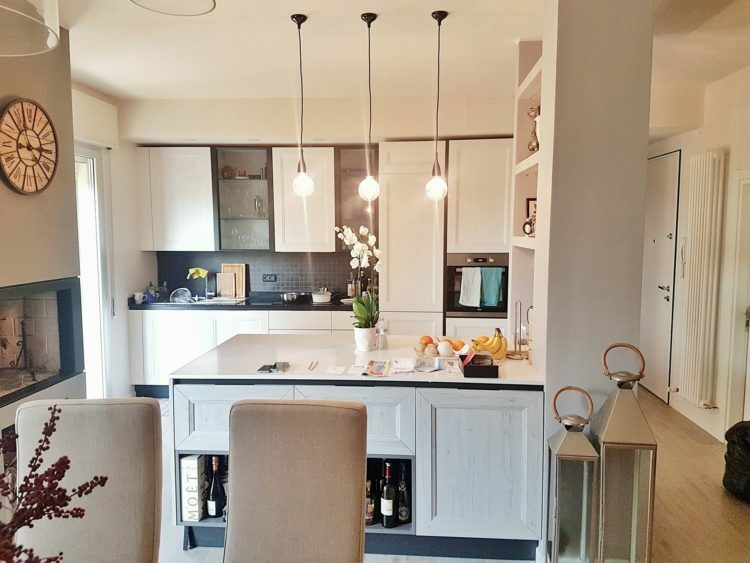 Although the apartment doesn’t look really “Italian” in any particular way, ALL materials, suppliers and labor are 100% Italian, locally sourced and made in the Emilia Romagna region. Here are some pics. 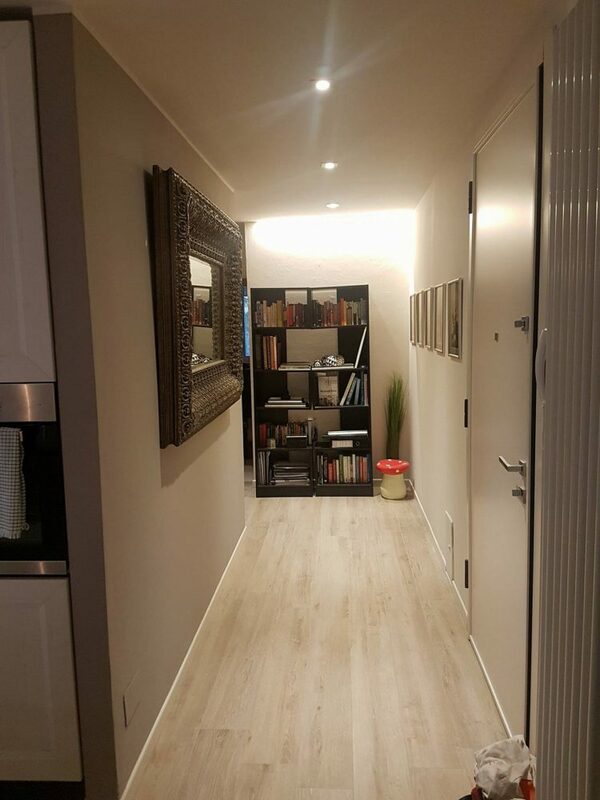 My husband is anti social media and he’s asked that I only show portions of our place. I’ve respected his request. That’s our story so far. 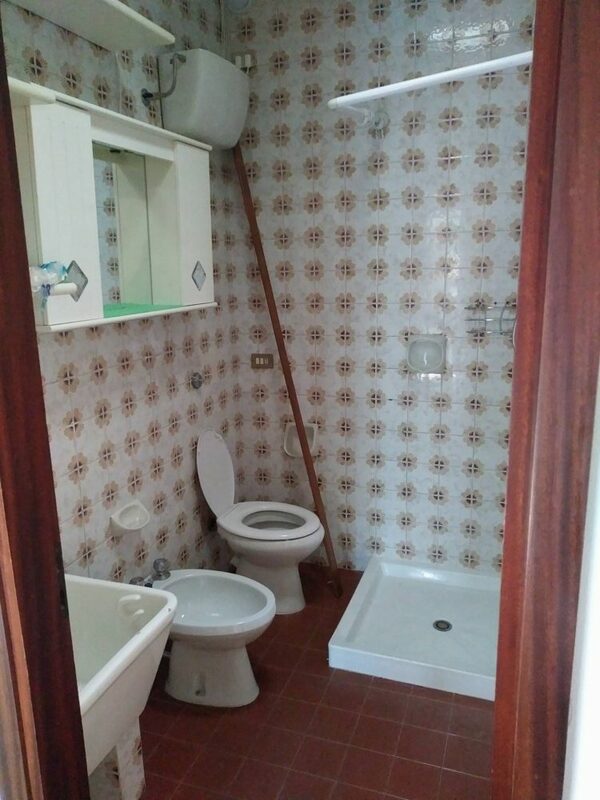 I hope highlighting some of the pitfalls you may encounter when renovating or buying property in Italy has been helpful. Feel free to contact me with any questions or comments in the section below.